The Modern Workplace: A Choice to Carefully Consider: Civil Suits or Arbitration? A Choice to Carefully Consider: Civil Suits or Arbitration? “Class action” can be a scary term for any employer. During the past decade, the number of wage and hour class actions brought against employers by large groups of employees claiming violations of wage and hour laws under the Federal Labor Standards Act (“FLSA”) has increased dramatically. These cases, also known as “collective actions” are expensive and time consuming to defend. For more than two decades, employers have increasingly relied upon mandatory arbitration agreements in an effort to reduce the risk of class action claims. These agreements require employees to waive their rights to pursue employment claims in court, and instead bind the employees to arbitration of individual claims. Mandatory arbitration agreements are also frequently used by consumer products and services companies as a tool to avoid large class actions brought by multiple customers or users. A recent Wall Street Journal article about Facebook-owned Insta-Gram’s mandatory arbitration clause highlights this trend. Just this week, the Eighth Circuit Court of Appeals which covers all employers in Minnesota, upheld an employer’s mandatory arbitration agreement that precluded an employee from pursuing FLSA claims in court, including participation in any class action. In Owen v. Bristol Care, Inc., (8th Cir., January 7, 2013), the Court declined to follow a recent high-profile ruling by the National Labor Relations Board (“NLRB”), D.R. Horton, which held a class waiver unenforceable in a similar FLSA challenge. The NLRB had concluded that such a waiver conflicts with federal labor laws that protect employee rights to engage in “protected concerted activity.” The Eight Circuit rejected this reasoning, noting that the agreement at issue before them did not preclude an employee from filing a complaint with a government agency such as the Department of Labor (which has jurisdiction over FLSA claims), the Equal Employment Opportunity Commission, or the National Labor Relations Board. The Court pointed out that those agencies have the authority to investigate and file lawsuits on behalf of a class of employees. The Court joined five other federal courts of appeals that have considered this same issue and concluded that arbitration agreements containing class waivers are enforceable in FLSA cases. Not every court of appeals has decided this issue, however, so the law on this point is still unsettled in some jurisdictions. This case gives employers in Minnesota a “green light” to use mandatory arbitration agreements as a tool to limit the risk of expensive wage and hour class action litigation. Before jumping on the arbitration bandwagon, though, consider your options. 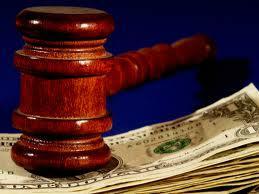 In arbitration both parties to a conflict are giving up the right to have a judge or jury decide their claims. In some situations, an employer may want to preserve its own right to have the claims decided in court. These types of agreements have many advantages, but they are not the best approach for all employers. They must be carefully drafted and consistently used across an enterprise in order to be most effective. As with most employment-related practices, there is no “one size fits all” approach to using arbitration agreements with employees.